Bengaluru displayed a much superior performance in the second half than they did in the first half. 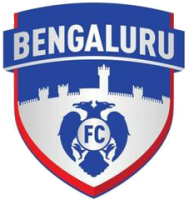 The defending champions substituted in their newest signing, Jugovic, who created several chances but the Bengaluru forwards failed to convert the chances. Mohun Bagan played a brilliant tactical game and dominated the visitors throughout the game. Signing off from Kolkata, this is your host Sourav Neogi, good night. 90'+4' And the referee whistles to indicate the conclusion of the match. Mohun Bagan wins the match from goals by Darryl Duffy and Katsumi Yusa. 90'+2' Mohun Bagan looks like to be wasting the time for the last few minutes. 89' Substitution for Mohun Bagan. Souvik OUT, Pintu IN. 88' Katsumi takes the shot but the ball is saved by Bengaluru goalkeeper Amrinder Singh. 86' Sehnaj Singh is brought down by Bengaluru defenders in the 15 yards. The referee has awarded a free kick to Mohun Bagan. 84' Substitution for Mohun Bagan. Duffy OUT, Jeje IN. 81' Harmanjot Singh Khabra is being shown a yellow card following his rash tackle on Sony Norde. 77' Substitution for Bengaluru FC: Khabra IN, Geroge OUT. 73' Substitution for Mohun Bagan. Azharuddin OUT, Balwant IN. 72' Jugovic sets a pass for John Johnson who shoots the ball out wide over the bars. 70' Katsumi takes a corner but the shot goes over the heads of the goalkeeper and the Bagan players and finally to Johnson who sends the ball back to the center of the pitch. 67' Bengaluru almost scored as Jugovic dribbles around the Bagan defenders and tries to tap the ball in but Debjit retaliates and Anas clears the threat out of the pitch. 64' Substitution for Bengaluru FC. Udanta OUT, Mandar Rao IN. Vineeth OUT, Jugovic IN. 62' Katsumi once again picks up a pass from Sony Norde in the middle and decides to shoot. However the shot goes wide and the referee indicates for a goal kick. 59' CK Vineeth posing a threat to the Mohun Bagan defense but Debjit comes out and collects the ball. 56' Nishu Kumar trying to make a solo run down the left wing but the Bagan defenders are quick to nullify the danger. 53' GOOOOOOAAAAL! Katsumi makes it 3-0 for the Mariners! 52' Katsumi with a solo run down the right wing and crosses for Sony Norde in the left wing but the ball goes wide and ultimately being back to Bengaluru's possession. 49' The stadium is filled with Mohun Bagan chants from the Mariners' faithful. Amazing atmosphere at the stadium as the hosts lead the game. 46' And the second half is underway with Mohun Bagan leading with 2 goals to nil over Bengaluru FC. 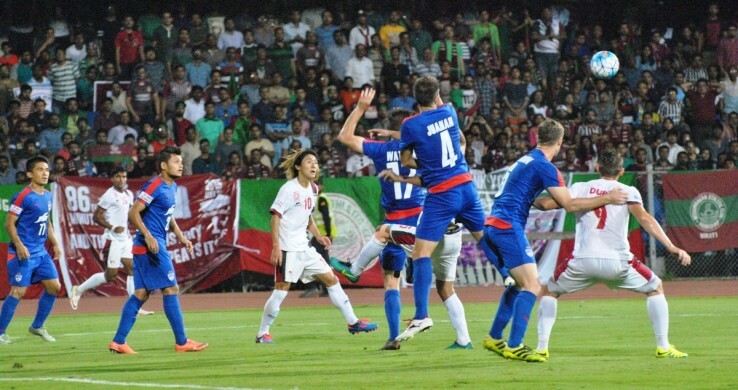 Mohun Bagan started the match brightly as the Mariners looked to be aggressive from the first minute itself. Bengaluru, in a responce went deep down in order to defend against the Bagan attacks but lack of aerial superiority and leaky defense led them to concede two goals in the first half. In responce, Bengaluru played a physical football, only to initiate the same from Bagan midfielder duo Sehnaj Singha and Souvik Chakraborty who successfully nullified the Bengaluru attacks in the middle of the pitch and forced them to play a wide game, where the Bagan full backs dominated the charging Bengaluru attackers e.g. Udanta Singh and CK Vineeth. 45'+1' The referee whistles to indicate the end of the first half. Stay tuned with the commentary, be back in a few minutes. 45' The assistant referee adds one minute of extra time to the first half. 41' Norde with a corner kick but the ball goes out of the pitch without being touched. 38' Darryl Duffy is being closely marked by both John Johnson and Sandesh Jhingan who takes him down trying to pick up a pass from down the pitch. The referee awards yet another free kick to the hosts. 35' Katsumi with another pinpoint free kick from the halfway line. Duffy heads the ball but the ball goes out wide. 32' Gaikwad with a throw in but the ball goes back to Bengaluru players who takes the ball in a forward run instead. 28' Watson pushes Azharuddin who goes down and the referee whistles to indicate a foul. 26' GOOOOOOOAAAL! Duffy makes it 2-0 for the hosts! 23' Bengaluru players are going deep in the pitch to defend while almost all Mohun Bagan players are going on forward runs. 20' Vineeth with a rash challenge on Katsumi as the forward goes down. The referee awards a foul to the hosts. 17' Sehnaj Singh and Souvik Chakraborty being an ever glowing presence in the centre of the park. The duo is performing magnificently nullifying the Bengaluru counter attacks which has forced the visitors to play wide. 12' Katsumi scores but the flag go up as the Japanese forward is offside. The match resumes once again. 8' Katsumi gets a cross from the wings but is taken down quickly by the Bengaluru defenders. Amrinder Singh picks up the ball and shoots it back to the game. 5' Overlapping Pritam Kotal with a pinpoint cross to Darryl Duffy in the Bengaluru box but the Scottish marksman heads it out wide. 3' CK Vineeth being a danger to the Bagan defence but Pritam Kotal saves the day for Bagan. 2' The hosts are showing an aggressive mentality already as the Bagan forwards takes the ball to Ball to Bengaluru's box but is unable to score. 1' And the match is underway! 07:09 pm The players are coming out of the tunnels. Moments to go before the I-League resumes tonight here in Rabindra Sarobar Stadium in Kolkata. 07:07 pm Only minute to go before the match starts. Stay tuned with the live commentary. 06:57 pm Mohun Bagan opting to start young prodigy Azharuddin Mallick against the defending champions instead of Jeje Lalpekhlua and Balwant Singh come as a surprise for the Bagan faithful in the stands. However there is no shortage of enthusiasm as the Mariners' fans keeps cheering their team from the stands. 06:55 pm After his international heroics, Bengaluru FC skipper Sunil Chhetri not starting against the Kolkata giants come as a surprise for both the fanbases. Only time will tell if the gamble would be fruitful for Albert Roca or not. 06:52 pm Bengaluru FC substitutions: Arindam Bhattacharya(GK); Salam Ranjan Singh, Harmanjot Singh Khabra; Eugeneson Lyngdoh, Mandar Rao Dessai; Marjan Jugovic, Sunil Chhetri. 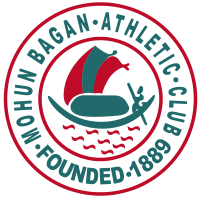 06:52 pm Mohun Bagan substitutions: Shibinraj Kunniyil(GK); Sanjay Balmuchu, Pintu Mahata; Prabir Das, Bikramjit Singh Sr; Jeje Lalpekhlua, Balwant Singh. 06:50 pm Bengaluru FC XI: Amrinder Singh(GK); Sandesh Jhingan, John Johnson, Juanan, Nishu Kumar; Alwyn George, Cameron Watson, Malsawmzuala Sawmtea; Udanta Singh, Daniel Lalhlimpuia, C.K. Vineeth. 06:50 pm Mohun Bagan XI: Debjit Majumder(GK); Pritam Kotal, Anas Edathodika, Eduardo Ferreira, Raju Gaikwad; Katsumi Yusa(C), Souvik Chakraborti, Sehnaj Singh, Sony Norde; Azharuddin Mallick, Darryl Duffy. 06:44 pm The hosts, Mohun Bagan is expected to settle down nothing less than three points against the defending champions as they are still in the title race and any loss of points might be the end of their title dreams this year. 06:40 pm Last time these two teams had met, both shared equal spoils of the points as the match ended goallessly. However, it is yet to be seen what lies ahead for either of the teams in today's match. 06:37 pm It has been more than half an hour the away side, Bengaluru FC have arrived to the stadium. As the league resumes for both the giants, the stadium is filled by the Mariners' fans everywhere, hardly any West Block Blues fans are visible. 06:30 pm Hello and welcome to the I-League game between Mohun Bagan and Bengaluru FC. This is your host Sourav Neogi Live from Rabindra Sarobar Stadium.